Toyota Motorsport sets new electric record at Nürburgring Nordschleife circuit in Germany. COLOGNE, Germany - September 4, 2011: Toyota Motorsport GmbH (TMG) has set a new lap record for an electric vehicle (EV) at the legendary 20.8km Nürburgring Nordschleife circuit in Germany. The TMG EV P001, with 100% electric powertrain and Jochen Krumbach at the wheel, set a new lap record of 7mins 47.794secs to beat the previous lap record, which stood at 9mins 1.338secs, by a very substantial margin. Using two electric motors, the TMG electric powertrain has a top speed of 260km/h which combined with 800Nm of torque to achieve impressive speeds on the extremely challenging Nordschleife track, which includes significant elevation changes and lengthy flat-out sections. TMG’s target prior to the 29 August record run was to become the first electric vehicle break the eight-minute barrier and this was achieved comfortably on a day when the notoriously changeable Nürburgring weather stayed fine, although track temperatures were relatively low. Such performance shows TMG’s electric powertrain is ideal to power any future single-make electric motorsport series and TMG will begin commercial sales of this technology in 2012. TMG continues to advance its electric vehicle capability for motorsport applications with in-house development of the electric powertrain and ongoing investigations into alternative chassis solutions. 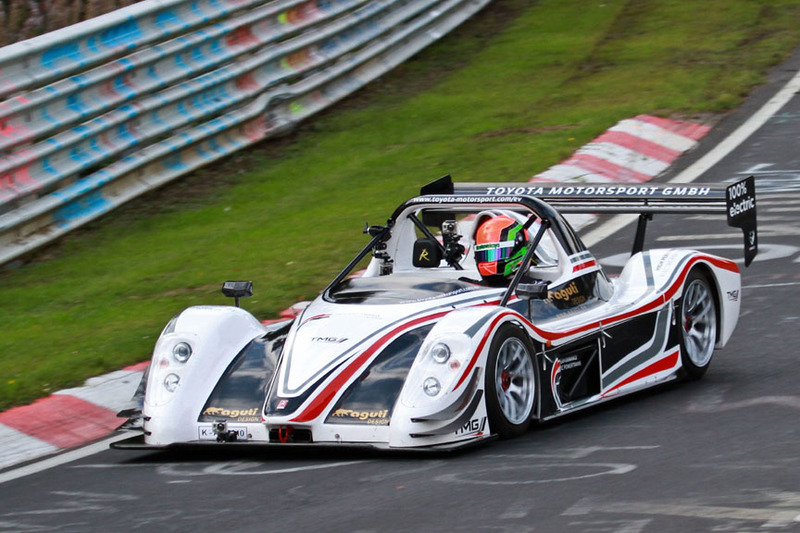 The new lap record was completed on road-legal tyres, using the complete Nordschleife track. It was verified by independent lap timing. TMG extends its thanks to its partners in this achievement: Aguti created and implemented the livery concept while rational motion integrated the electric powertrain, traction battery and control strategies. EVO Electric motor technology delivered the power. 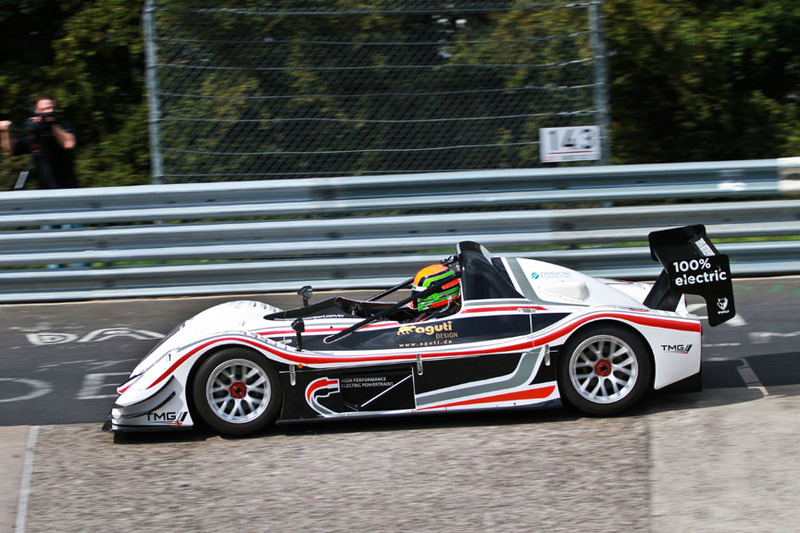 The TMG EV P001 is based on a Radical chassis as modified by TMG for e-WOLF.